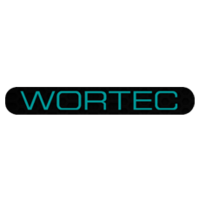 Availability: In stock This product is located at an Australian located warehouse and will be shipped immediately after we process your order. 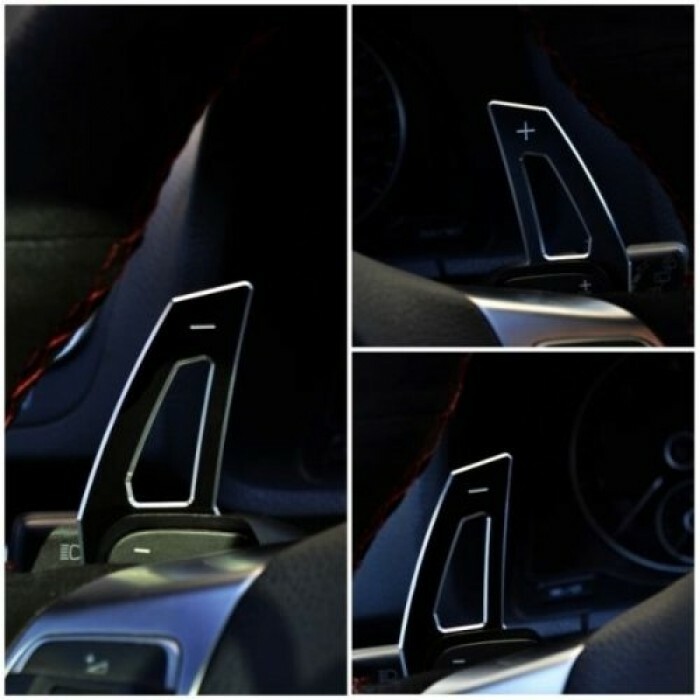 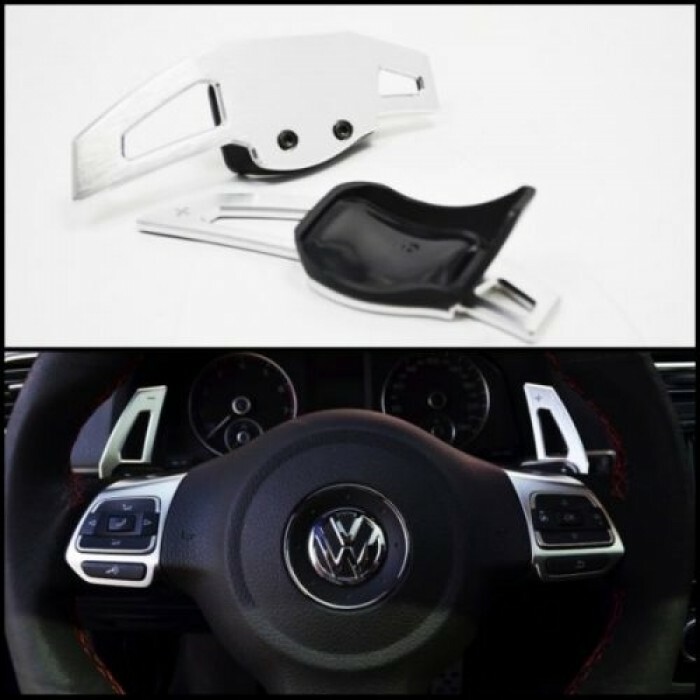 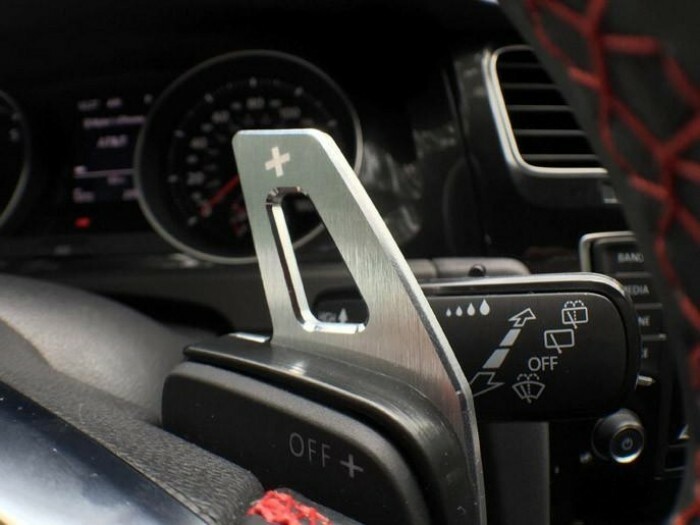 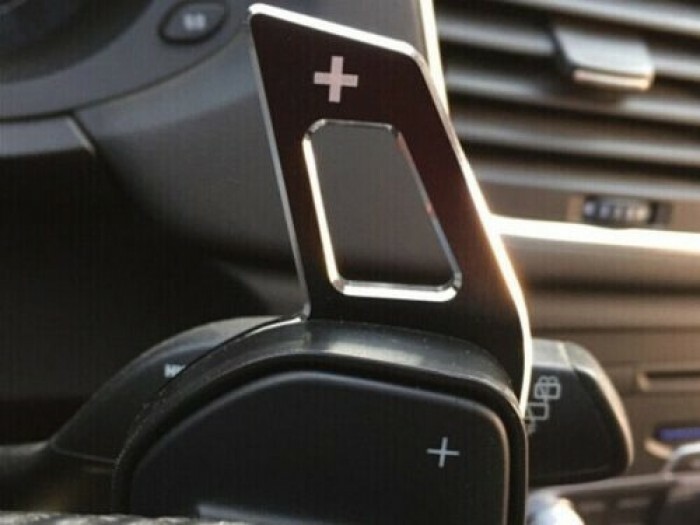 Give your paddle shifter equipped Volkswagen a more enjoyable feel with these aluminium metal DSG paddle shift extensions. 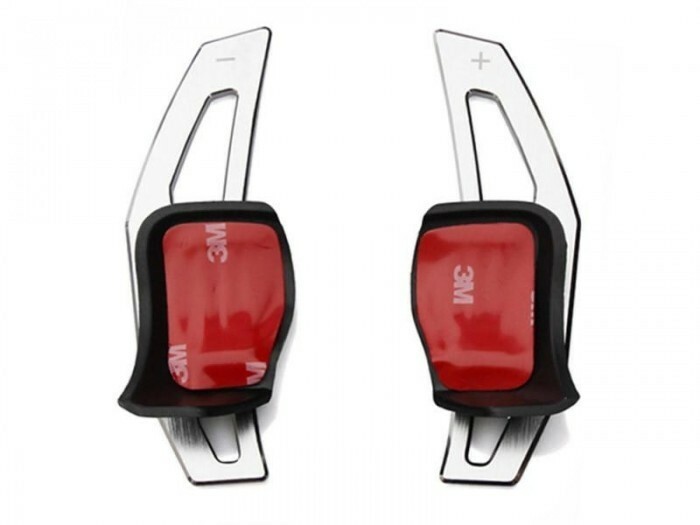 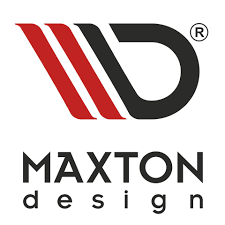 They are easily installed in 2 minutes with the supplied 3M tape. 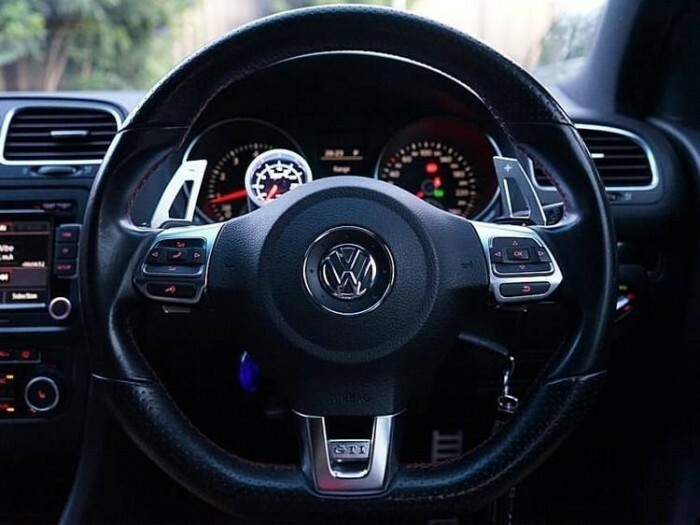 Just clean the area, stick them on and enjoy the drive. 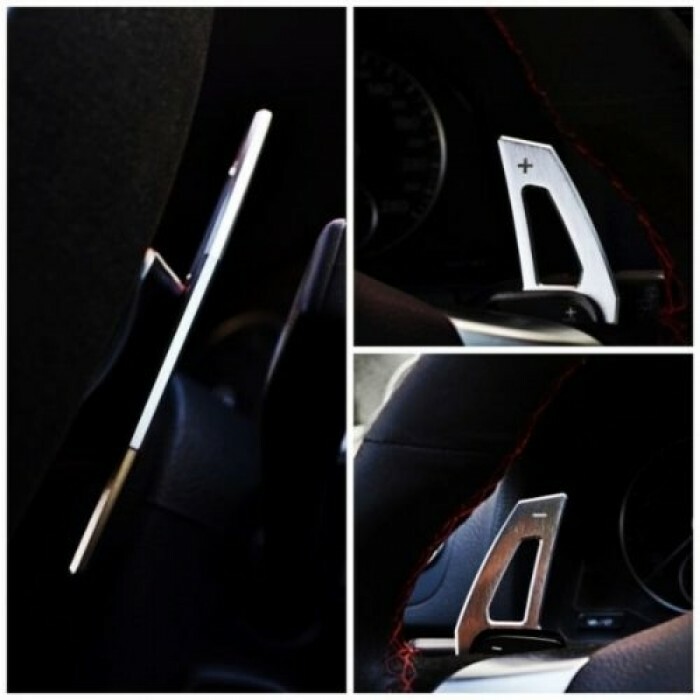 The paddles "cup" the stock paddles for a snug fit resulting in no play at all. 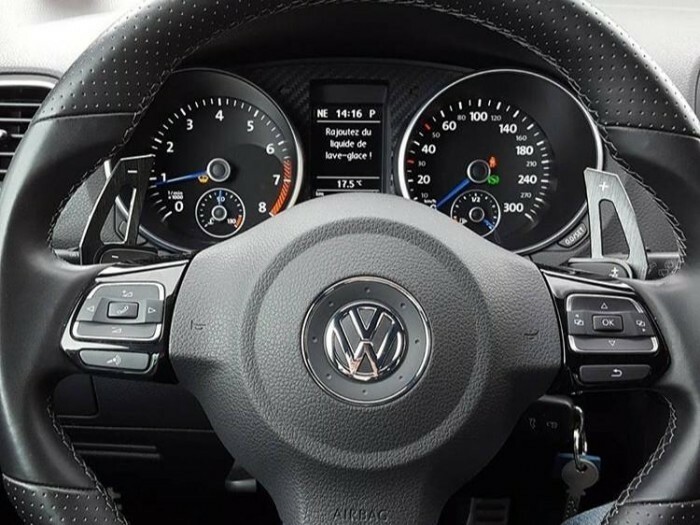 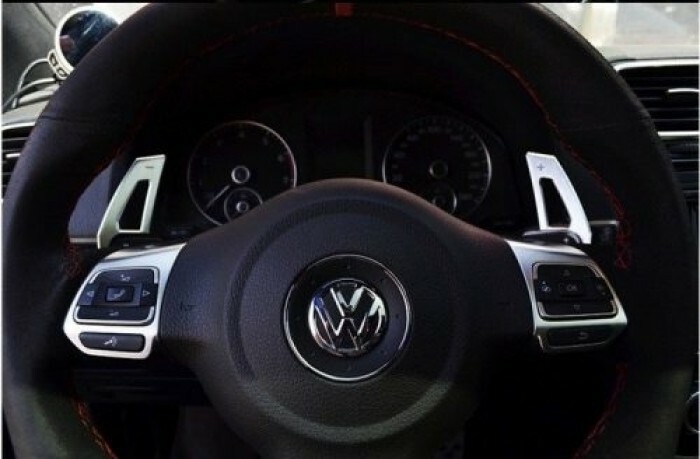 The options of brushed silver or black finish perfectly match the Volkswagen steering wheel and interior. 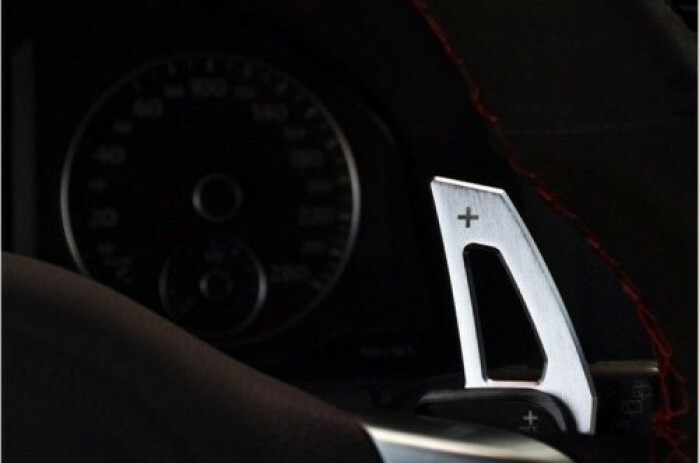 These paddles have no branding visible for an elegant and OEM look.